The knee is the largest joint in the human body. So it should come as no surprise that at some point in life, it may get injured and require surgery. There are many different components to the knee. The upper and lower bones are separated by two discs called the menisci. The upper leg bone (the femur) and the lower leg bone (the fibula) are connected by ligaments, tendons, and muscles. The surface of the bone inside the knee is covered in cartilage, which allows the bone to absorb shock and impact. Sprains or strains: These types of injuries typically occur in the ligaments and tendons, which connect and support the kneecap. Ligament tears: An anterior cruciate ligament (ACL) sprain and a medial collateral ligament (MCL) sprain are the most common knee injuries. Breaks/fractures: Knee fractures usually include fractures of the kneecap, lower portion of the femur, and upper part of the tibia or fibula. In most cases, knee fractures are caused by abnormal force, such as falling directly on the knee or severe twisting motions. Dislocation: Knee dislocations occur when the bones that form the knee are out of place, or when there is direct trauma to the knee. Knee pain and damage: You need to figure out how severe your knee pain is, and then you will be able to determine if it is the right time for surgery. If the pain has come to a point where you can no longer perform daily activities, the only option you may have is to undergo surgery. 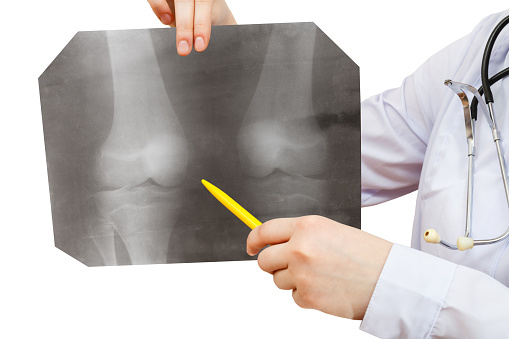 An orthopedic surgeon will help you determine whether your condition requires replacement knee surgery. Diagnosis and treatment: Consider the fact that therapy might be more beneficial in place of surgery. A doctor will diagnose what is causing your knee pain and determine whether therapy or surgery is needed. Age: Depending on your age, therapy may not be as beneficial as surgery. For example, elderly patients may require knee replacement surgery, mainly because their bones have reached maturation. Second opinion: Before booking your surgery, you should seek a second opinion from another orthopedic surgeon. Rehab: Booking the surgery is one thing, but you need to decide if the time off to recuperate is manageable. For example, take into consideration time spent away from work. The length of rehabilitation can vary, depending on the severity of the injury and the indiviual. The cost of the surgery can be the determining factor over whether or not you get knee surgery. There are three aspects that you need to understand about your bill: the inpatient charges, the outpatient charges, and the additional costs. Outpatient fees: These charges represent the largest portion of your hospital bill. They account for services before and after the procedure. Pre-operative and post-operative costs include office visits, lab work, physical therapy, and follow-up visits with your surgeon. Medicare will pay about 80% of all outpatient fees. Additional costs: The cost of care service from the hospital is only part of the expense. Chances are your doctor will prescribe special equipment, such as a motion machine, walker, or crutches. Medicare and most insurance plans will cover this, but it could lead to additional charges on your hospital bill. Physical therapy or a nurse at your home is not always covered. Modifications to your home may be required, such as safety bars and rails, a shower bench, and a toilet seat riser with arms. If your insurance does not cover homecare services, expect to pay out of your own pocket. However, you should factor in lost income if you are taking time off of work for both the surgery and recovery. You should also talk to your employer and insurance provider to see if you qualify for some sort of disability insurance options. Lose weight: If you are overweight or obese, weight loss can reduce the pain in your knee. Knee injections: Hyaluronic acid knee injections will lubricate the knee and act as a shock absorber. Cortisone shots: The shots are injected into the inflamed area and usually help relieve the pain within a few days. Relief will typically last for several weeks. Greengard, S., “The Common Causes of Severe Knee Pain,” Healthline web site, August 25, 2015; http://www.healthline.com/health-slideshow/causes-of-severe-knee-pain-leading-to-knee-replacement#1. “Knee Problems and Injuries – Topic Overview,” WebMD web site; http://www.webmd.com/pain-management/knee-pain/knee-problems-and-injuries-topic-overview, last accessed August 25, 2015. Greengard, S., “Alternatives to Knee Replacement Surgery,” Healthline web site, February 25, 2015; http://www.healthline.com/health/total-knee-replacement-surgery/alternatives#1. Greengard, S., “Understanding Knee Replacement Costs: What’s On the Bill?” Healthline web site, February 23, 2015; http://www.healthline.com/health/total-knee-replacement-surgery/understanding-costs#1. “How Do You Know When it’s Time to Have Knee Replacement Surgery?” Pennsylvania Orthopaedic Center web site; http://www.paorthocenter.com/know-time-knee-replacement-surgery/, last accessed August 25, 2015.